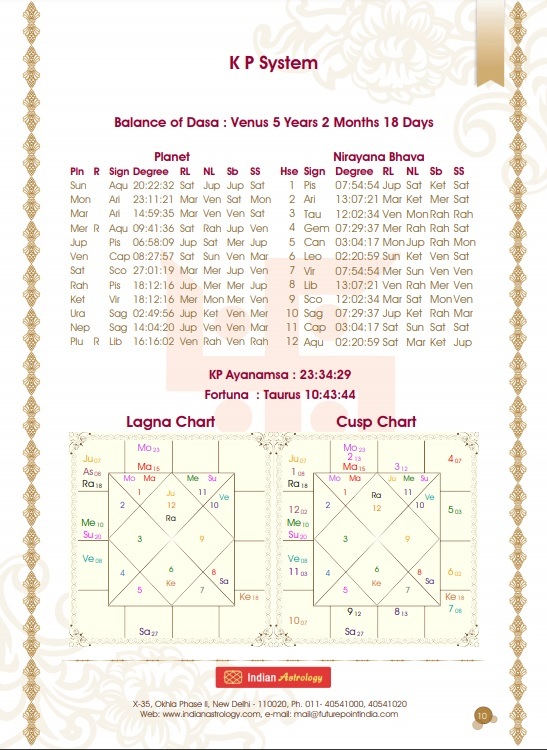 These kundali darpan predictions help you with daily, monthly as well as yearly forecasts. These predictions are careful study of your house placements, planet conjunctions, and movement of planet which is presented in the form of a detailed report. Rather than wasting time on researching confident source of astrology, you can now be confidently depend on the horoscope analysis of kundli Darpan. You can surely depend on the report as it is indivual report that is coming from trusted and educated astrologers. The increasing unpredictability of life events is giving rise to higher level of insecurities in life. People are highly uncertain about the happenings in their life. Regular astrological predictions help you to remain aware about the problems you are going to face in the future. Knowing the future can help the person to stay ready with preventions. Detail astrological reports keep us up to date with sets of precautions for example what problem one might face and what one should do in order to prevent the hardship of the event. The report supports you with important events, lucky color, lucky day, lucky Substitute stones and extensive detail that can help you manage the day. The report predicts the future in various sections like health, finance, love and relationship, personality and character report etc. Various problems can be detected and can be bought to the solutions with help of these reports. One can easily know the weak spots of events or personality that might cause the dilemma in the future. The report carefully calculates the strength and weakness of different planets in one’s birth chart. There after careful analysis of malefic and benefic effect of planets in the horoscope the astrological remedies are given out. Sudarshan Chakra - Represents the comparative positions of the planets in the Sun, Moon and Lagna charts simultaneously from outer to inner circle respectively. To study a house consider the signs in all the three charts simultaneously. Shodasvarg Charts - 16 divisional charts to study the various areas. An event can’t be predicted in independently on the basis of a divisional chart rather it needs to be studied along with the birth chart. It should be remembered that there is no aspect of planets in divisional charts. The strength of planets is limited to the sign and house occupied. Favorable Points - Information about lucky stone, color, number, article, time, day, date, year, sign, cereal, metal, direction, donate item, god etc. House Prediction - Predictions about various areas of Life like Physique, Health, Nature, Finance, Family, Travel, Education, Love Life, Children, Disease, Enemies, Marriage, Business Partner, Profession etc. 10 Years Transit Predictions - Yearly predictions on the basis of transit of planets for each year with various areas of Life like Profession, Wealth, Property, Family, Children, Health, Career & Competition, Travels.